Language Objectives: Learn to use expressions to greet, help a lost person and introduce a friend to another. 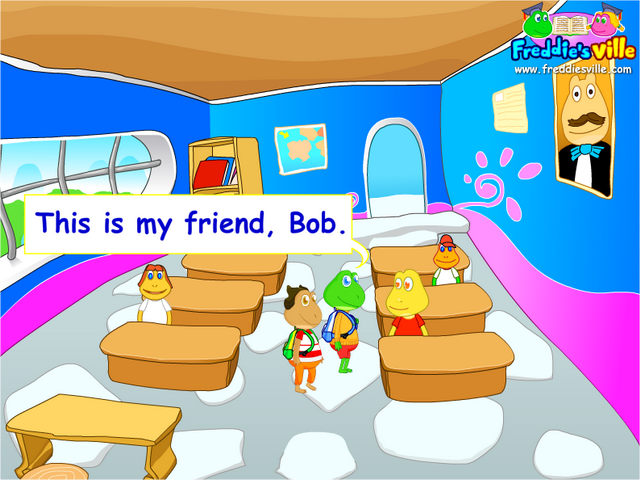 Dialogue Story: It is Bob's first day at Freddie's school. He is lost in the corridor, trying to find his class. Freddie shows up and offers help. In the end, Bob is introduced to other classmates.